Gas Safety Week runs from 10-16 September, with the gas industry joining forces with consumer organisations to increase gas safety awareness among the general public and encourage people to take good care of their gas appliances. This post looks at the main safety issues addressed by the campaign and gives information about locations of Gas Safety Week events. Testing your smoke alarm or CO alarm is one of those things you know you should do regularly, yet it is easy for it to slip your mind. South Yorkshire Fire & Rescue have come up with a great way to help people keep their smoke alarms in working order. It's easy to get excited about the idea of buying a new wall fire with so many stunning designs to choose from. However, it's a good idea to think carefully about the practical aspects first to make sure your new fire really suits your needs. Hopefully this post will help you narrow down your options and quickly home in on something that's a great fit for you and your home. 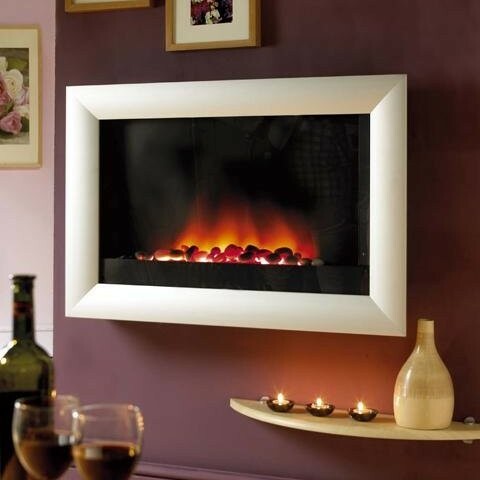 Dimplex fireplaces have achieved an enviable reputation for producing electric fires with realistic flame effects. So it comes as no surprise that the developers of the new Trump International Hotel in Toronto have chosen to install Dimplex fires in most suites to add ambience to the building. Guest Post Author Bio: John lives in the countryside and is weighing up alternative methods to heating up his cottage. Whether you are renovating or selling your home, some additional features could help to add value or sell your property. One of the homeliest of these is the hearth or stove. Whether you go for an open fireplace or a wood burning stove* you are guaranteed to bring a warm glow into your home. What Does a Fireplace Hearth Do? Working in the fireplace industry there are certain facts about fireplaces I tend to see as so obvious they don't need to be explained. Every so often someone asks an unexpected question, which of course makes me wonder how many other people are unsure about the same thing. Recently one of our customers asked what a fireplace hearth does, and I decided to share the answer in case anybody else is wondering. Dumfries and Galloway Fire and Rescue Service recently issued some safety guidance in the wake of a number of house fires linked to wood burning stoves. Substantial energy price rises in recent years, coupled with the struggle to cope with recession, have made woodburners a popular way to save money on home heating bills. The trouble is that the pressing need to save money can tempt people to cut corners when installing their wood burning stove, increasing the risk of a house fire. Where do you put a fireplace when you don't have room for one? This might seem like a daft question, but there is a distinct trend towards smaller rooms in modern properties. As well as making us feel hemmed in, these restrictions on living space create some real practical problems. How do we fit in enough seating to be sociable with family and friends? Where do we put all our stuff? And how do we make a small place feel like home rather than a rabbit hutch? There's nothing like the ambiance and comfort of a real fire, but decades of reliance on central heating seem to have left some gaps in our understanding of fire safety. I've seen too many news stories lately about house fires which started because ash from an open fire or woodburner wasn't disposed of safely. Many people don't realise how dangerous hot ashes can be, assuming the risk of fire disappears as the flames die down. However, even when it looks as though the fire is dead embers can stay hot enough to start a fire for several days afterwards. Our stove & fireplace showroom is holding a winter clearance sale from 27th December. Prices start from £199, and everything must go! Our showroom carries only a small percentage of the thousands of products we sell online, so please call the showroom on 01422 373540 before visiting if you are outside our local area to avoid disappointment if they do not have the product you are interested in.